The Hague – Fatou Bensouda, the prosecutor of the International Criminal Court (ICC), says she is not deterred by the revocation of the United States visa. The United States revoked her visa due to her request for an investigation of the U.S. Military operations and alleged human rights abuses and war crimes in Afghanistan. She said the chambers has not authorized the investigation, yet it has already triggered reaction by the U.S. which announced that there will be visa restriction on ICC personnel. “Even though my visa has been revoked already but I believe that with respect to my UN obligations, I believe I will be able to get a visa to the US but this is not deterring us. We said it publicly – you cannot deter us from doing our work,” she said. She spoke to a group of West African Journalists who were in Netherlands last week to undergo training in justice peace and security reporting. Ms. Bensouda said their work will always meet resistance because it touches some powerful in investigating and prosecution. She disclosed that her office and the UN is engaged to see what can be done to have a visa. 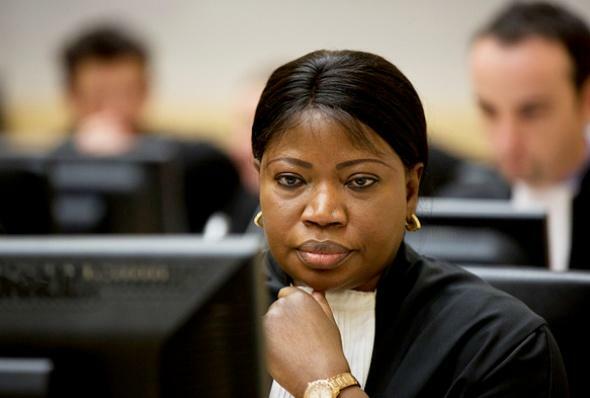 The ICC chief prosecutor said they remain committed to their independence and impartial mandate under the Rome Statue. “We must be prepared for the certain reality that comes with the territory. That preparation by definition also requires seeking and being able to rely on the media,” she said. According to her, the Rome treaty bears its name that never again will perpetrators regardless of rank and status escape justice for the war and most destabilizing crime. Ms. Bensouda urged journalists to disseminate truthful and factual information and make information accessible to affected communities, stakeholders and the public at large. “It is not unlikely that the court will face more open hostilities, too often, such hostilities go hand-in-hand with public reporting and misinformation. Sometimes, deliberately disseminated,” she added. The Chief Prosecutor acknowledged that the media is a powerful educational tool, noting that a responsible and well-researched journalism can have a positive impact by dispreading myths and bringing accurate information to the population. She expressed delight over the journalists’ presence at the court. Ms. Bensouda emphasized that many individuals, especially victims of war crimes have put their hope in the Court’s mission to ensure accountability for crimes committed and regrettably continue to play on many continents and cause sufferings. “It is our joint responsibility to make efforts to bringing justices visible, most importantly to those directly affected by the war crimes. Justice must be done and seems to be done,” she said.